Some of the greatest art has centered on the clothes that we wear throughout our lives. The Girl with a Pearl Earring and 'a Sketch of a Woman and Umbrella are just two amazing examples of ways that fashion and accessories have been a part of our 'artistic inspiration. Great artists have incorporated fashion into their amazing pieces throughout the ages including masters 'Monet, Mallet and more. Image Size: 22" x 34"
Image Size: 27" x 18"
Image Size: 24" x 31"
Image Size: 19" x 24"
Image Size: 11" x 28"
Image Size: 11" x 19"
Image Size: 20" x 20"
Image Size: 15" x 24"
Image Size: 17" x 26"
Image Size: 8" x 6"
Image Size: 26" x 18"
Image Size: 22" x 27"
Image Size: 21" x 30"
Image Size: 36" x 27"
Image Size: 27" x 39"
Image Size: 5" x 7"
'Fashion is often considered a form of art that you can wear. 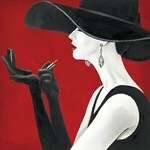 FastFramePrints.com has a wonderful collection of fashion art and 'fashion posters for you to look through. Show your appreciation for the fashion industry and the evolution of fashion with our 'selection of fashion art and fashion posters. Add a little something special to your walls; these prints would work great 'in your bedroom, bathroom, or office. 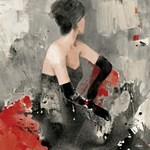 FastFramePrints.com has a wide offering of fashion art and fashion posters. 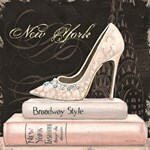 Look through a 'mixture of fashion art including accessories, costume, fashion collages, shoes, shopping art, swimwear, women’s apparel, 'and so much more. 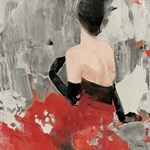 Have your print framed or put on to canvas with the customization options that FastFramePrints.com offers. 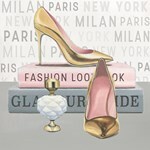 Get your 'fashion art and fashion posters from FastFramePrints.com right now!